Look out for them all! You have carefully designed your research project, read everything that there is to read, collected your data, are quietly satisfied with your findings. 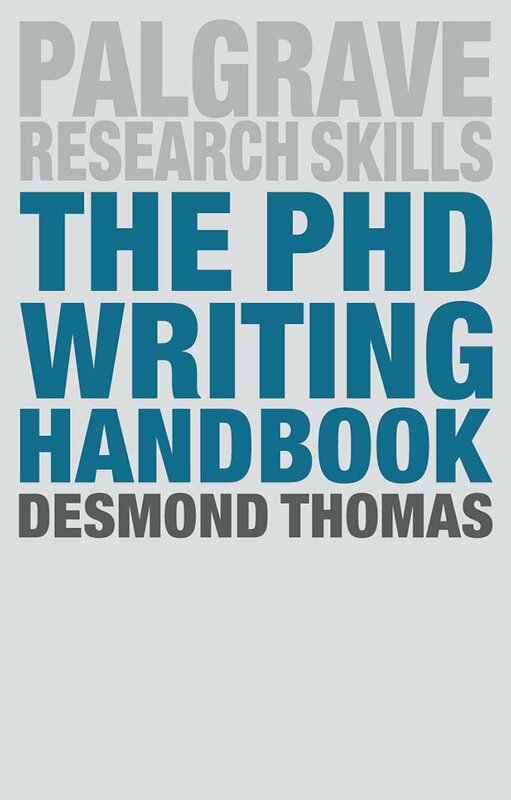 But there is still one more important task, one that is dreaded by many PhD researchers – you have to write everything up. The brilliance of your research will count for nothing unless you can communicate effectively with your intended readers. The ‘writing-up’ phase of the PhD means that for about a year you will become a full-time writer. How can you manage this sudden change of roles? What kinds of support are available to you? A daily writing schedule (rather than a monthly plan) will help provide some much-needed structure for your writing. You need to set yourself small writing targets each day. You may fail to reach your target, but at least having some kind of plan will bring a sense of order to your writing and to your work-life balance. As far as possible you need to stick to your preferred schedule, but this does not mean forcing yourself to write if you feel blocked. A final consideration is that writing is a process that needs to be rationalized. You need to think it through and record your thinking, the reason being that your thinking might well change in the course of a year. Many researchers keep writing journals or blogs in order to achieve this. I have decided to follow their example. I now have my own blog: this is it. This is a project that is just beginning but one that I hope to expand in the coming weeks and months. Come and join me on this website so that we can discuss some of the writing-related problems that researchers experience and find suitable solutions. Add your comments and your questions to the new posts that appear and to the regular pages organized by themes. Sharing your experience may also be of great help to others in the future. Or if you prefer, start your own blog and begin to reflect on the writing process and receive feedback from others who are in a similar position.